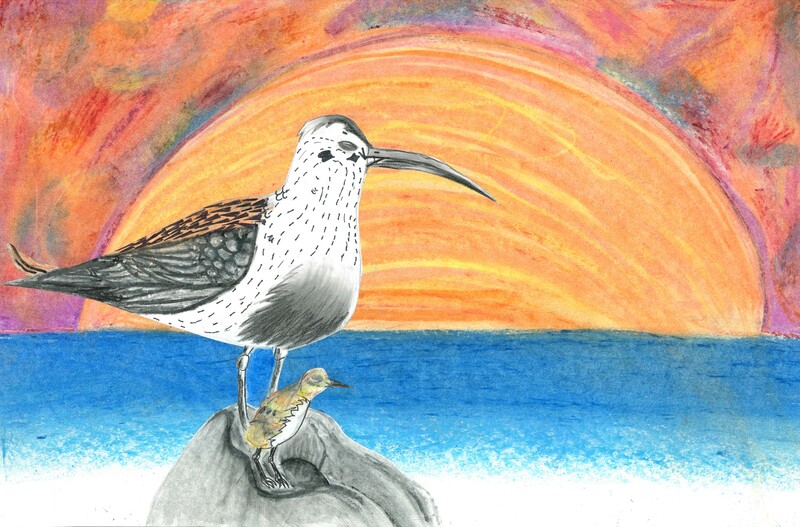 "I’m Youth, I’m Joy, I’m a Little Bird that has Broken Out of It’s Egg”" by Ezri Carroll is the winner of the 2018 Grays Harbor Shorebird Festival Poster Contest. 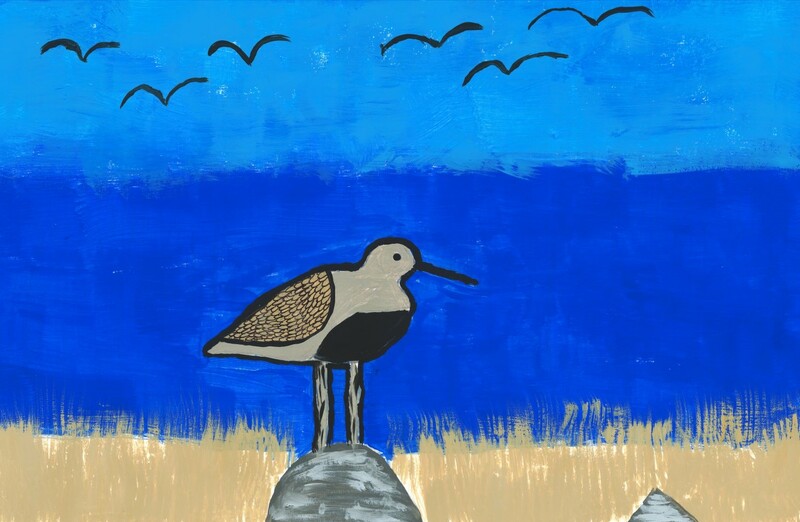 When creating this art, Ezri was 11 years old and attending 5th grade at St. Mary School. 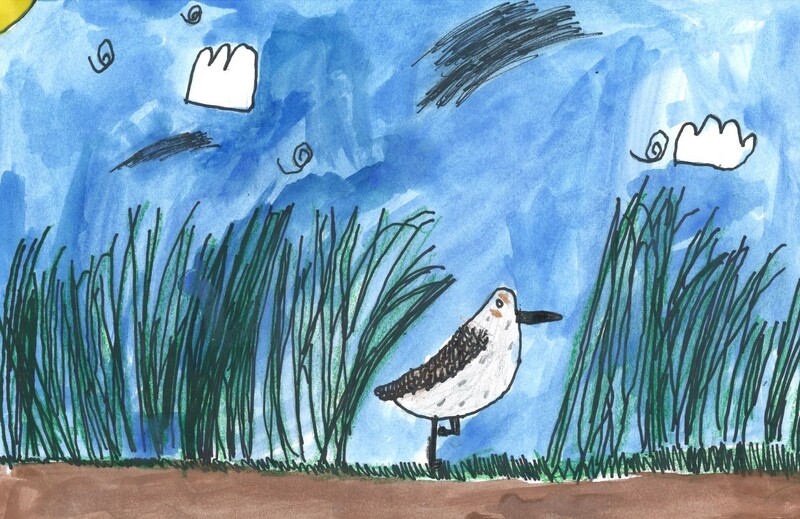 When asked, Ezri said, “I chose this bird because I felt that I could make it look different, even though lots of other kids were doing this bird.” To create her artwork, she used oil pastels, which are her favorite. She has never entered an art contest before but thinks it might lead to an art career when she grows up. After the ceremony, Ezri did the activities at the Fun Fair and she really enjoyed the Mudflat Meals activity where she got to look at the little things that live in the water. 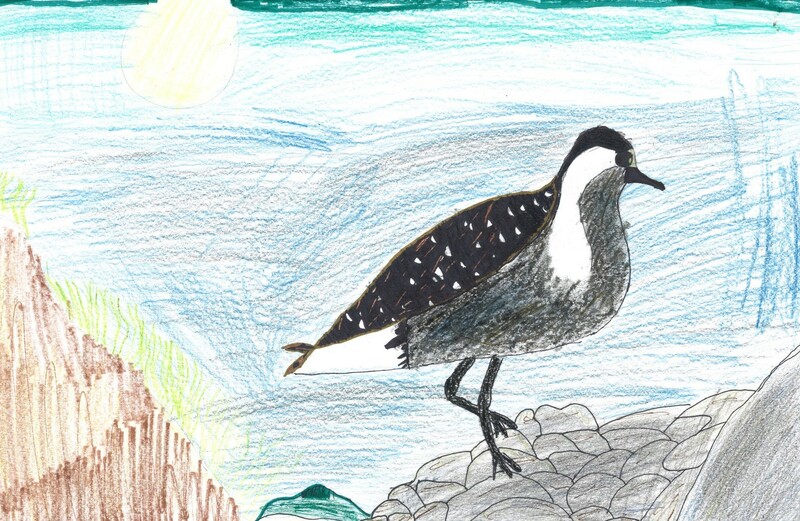 Grays Harbor County students, grades 1 - 6, design Shorebird Festival Poster for competition. Five judges select from each grade a 1st-3rd place and two honorable mention winners. A “Best of Show” is chosen from among the first place winners in each grade. 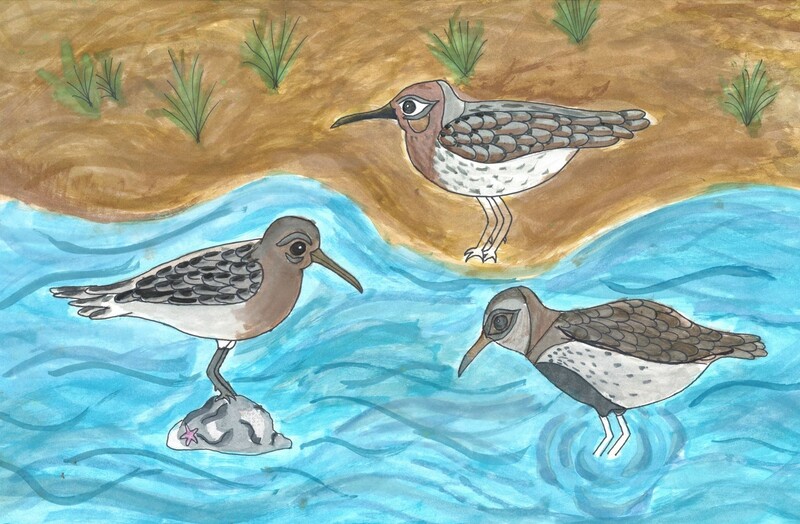 All winning posters are displayed and awards are given during the Shorebird Festival. 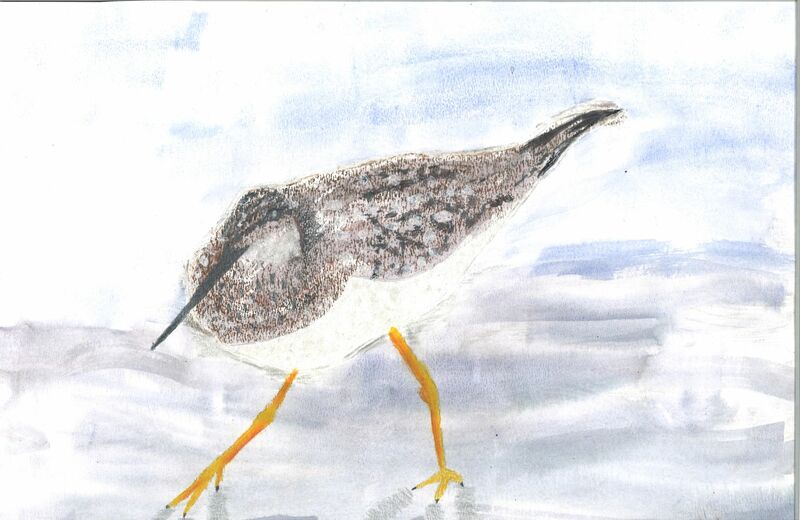 1st Place: Parker Bellington (Craig) Beacon "The Western Sandpiper"